Have an appetite for career success? The Rose Group strives to be the best. Our goal to passionately do the right thing for the guest, the team, and the neighborhood consistently results in satisfied customers and associates who care about making a difference in the communities where we do business. Headquartered in Newtown, PA, the group is the 69th largest restaurant franchisee company in the United States. 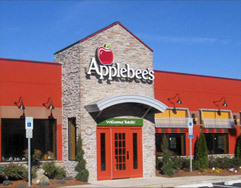 The group currently owns and operates 54 Applebee's Neighborhood Grill and Bar restaurants in Eastern Pennsylvania; Mercer County, New Jersey; Greater Baltimore and the Eastern Shore of Maryland and Delaware. View and apply for any of our career opportunities in Applebee's and our Newtown, PA Support Center through the listed openings below. Looking for Hourly Employment Opportunities?